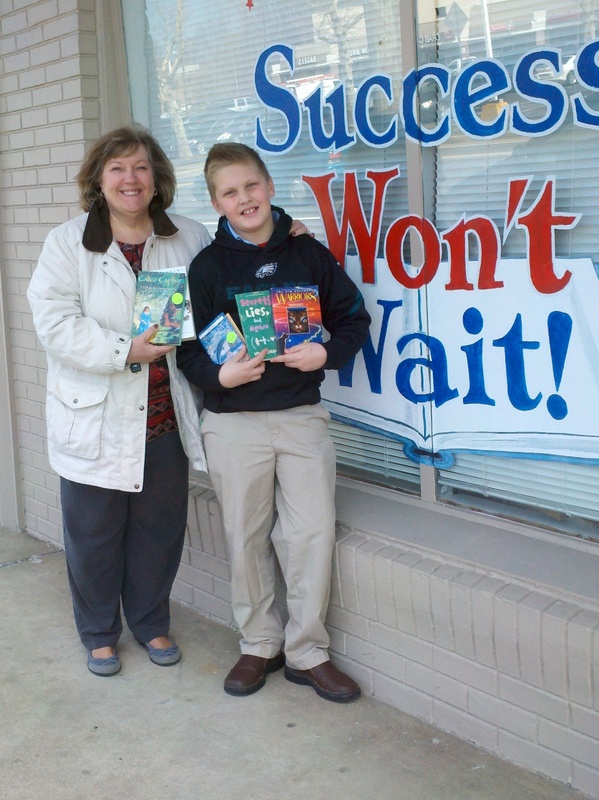 Success Won’t Wait donates 100+ books to Odyssey Charter Accelerated Reader Rewards Program – Success Won't Wait! In 2006, Odyssey Charter School opened its doors as Delaware’s first mathematics content focused, 2nd language (Greek) elementary education charter school. Since then, Odyssey Charter School has provided the families of Delaware with a classical approach to public education with a rigorous standards-based curriculum and instruction in a challenging, yet nurturing, learning environment. One of Odyssey Charter School’s important programs is the Accelerated Reader Program. Accelerated Reader (AR) is a program which monitors reading. Accelerated Reader assesses a student’s reading level, suggests titles of books at that level, and then assess whether a student has completed reading the book by asking a series of questions. For students at the school, the program also comes with rewards, in the forms of — what else? — books! This is where Success Won’t Wait comes in. When Odyssey Charter School’s Susan Huelsenbeck asked if we could help, we enthusiastically agreed. What better way to reward children for reading than with offering them more of their favorite titles?! This week, Susan and her grandson Alex Parsons, who is a sixth grade student at the school, (pictured) picked up the first, in what we hope will be a long series, of book donations. Congrats to the students at Odyssey Charter School for earning some great books and many thanks to the staff and faculty for administering such a great program! Founded in 2002, Success Won’t Wait, Inc. is a not for profit literacy program based in Wilmington, Delaware. The organization’s mission is to encourage reading, particularly by children, and services Delaware and the surrounding states. Success Won’t Wait, Inc. is a 501c3 non-profit literacy organization based in Wilmington, Delaware. Want to donate books? Visit How to Donate.